This spring save a flower and Pick-a-Pittie instead! 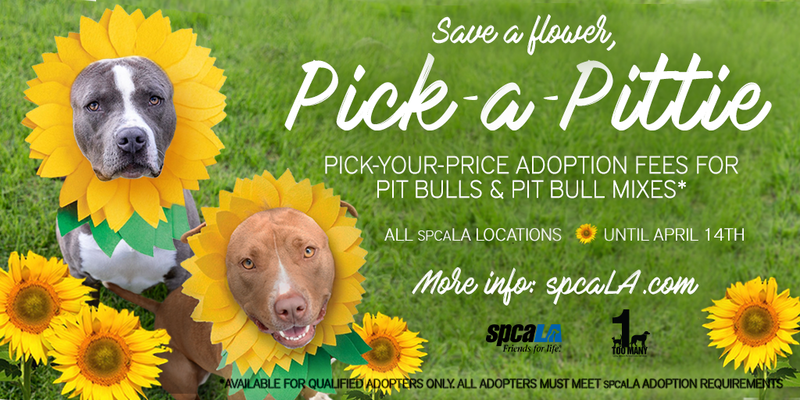 It’s Pick Your Own Price for Pit Bulls and Pit Mixes* at spcaLA adoption centers and Long Beach Animal Care Services through April 14. *The Pick-a-Pittie adoption special is for qualified adopters only. Click here to view spcaLA’s adoption requirements.